The British International School of Wroclaw was founded in September 2006 to provide an English-medium education for the growing expatriate community. We are a sister school to the British International School Crakow, founded in 1995. Our students (aged 5 - 18) come from all corners of the globe. Our small classes provide a supportive, welcoming environment for both pupils and staff. We are registered with CIE and the ISA, and we are members of ECIS and COBIS. 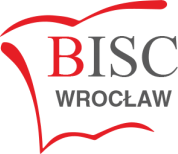 BISC Wrocław is located in the city's leafy suburbs, just fifteen minutes' by public transport from the main market square. We serve mainly the international ex-pat community, but also offer a condensed Polish programme (approved by the Ministry of Education) to our Polish families, who constitute approximately 10% of the school's student roll. Our educational programme is based upon the English National Curriculum, with our Key Stage 4 students sitting IGCSE exams, and our Y13 students taking Advanced level. We are registered with CIE English examination board. At present we have approximately 160 students, aged between 5 and 18, who come from many different countries worldwide. The average class size is under 16. In view of these small numbers, the overall ambience throughout the school is warm, friendly and relaxed, yet at the same time academically demanding. Problems with discipline are very rare at BISC, but nonetheless we have a clearly defined Behaviour Policy. Policies also exist for Assessment and various other aspects of school life. The level of English in some classes varies from beginner to native speaker (especially in the primary), and so all our teachers must be prepared to cope with mixed language levels. In our older classes, most students speak good English. Please check our website for possible vacancies. The main recruiting season is in January to March.